For his follow up to Jurassic World, director Colin Trevorrow has gone back to a smaller, more character oriented story, and his strong ability with actors and small dialogue scenes is on full display, but the slick Hollywood element is also at play here. 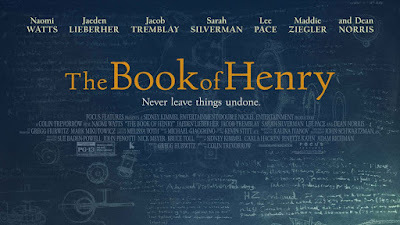 The mixed result leaves only one definite conclusion: The Book of Henry is, for better or worse, a truly unique movie summer full of sequels and reboots. Henry Carpenter (Jaeden Lieberher) is a 11-year genius living with his single mother and younger brother, Peter (Room's Jacob Tremblay). Henry is in many ways the head of the household, managing the family finances and trusted by his mother to make shrewd investments, and always looking out for his brother, until he distracted by a girl, Christina (Maddie Zeigler) who lives next door with her step-father (Dean Norris), the local police commissioner. Henry's intellect and keen powers of observation lead him to feel certain of what no one else wants to see: Christina is being abused by her step-father. Henry is determined to help the girl, but runs into several unexpected challenges, including a community that doesn't want to hear any accusations against a prominent citizen. The film is heavily built around twists and surprises, enough so that a spoiler free review requires staying a bit vague, and it mixes the family drama tearjerker with the Hitchcockian thriller. It's both ambitious and willing to sacrifice being a great drama for being a taut thriller, and doesn't fully succeed at either, but it's simply too involving to dismiss as completely failing. The terrific cast and strong direction make a script that is all over the place but highly watchable, and it's the kind of movie that leaves you very frustrated, wondering "Am I stupid if I liked this or stupid if I didn't?" It 's almost like early Shyamalan in drawing the viewer in to the point of easily going along with the more far fetched elements while watching it, dying to see how this ends, only to spend the rest of the night thinking about all of the bits that just don't add up. It is unfortunate that contrivances and Hollywood machinations too often get in the way of the more sincere elements of the film, and even more unfortunate that it's simply impossible to completely dismiss the questionable taste factor of some key plot elements. 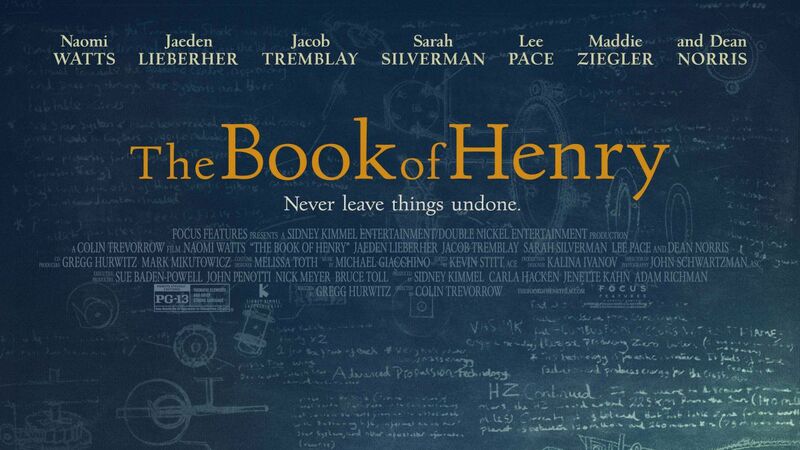 The Book of Henry is is too at odds with itself to make it easy to come to a definite conclusion as to its merit. The upside of this is that this movie will give you a lot more to talk and think about than most of what you see this summer, and we definitely found it to be emotionally stirring. It is as interesting as it is flawed, and we found it impossible to completely dismiss or embrace. Trevorrow remains a talented and exciting director, and while it is easy to see why this script got stuck in his head, and yet just as clear that there probably isn't a director out there that could have fully made it work. There are some on the internet freaking out over the bad reviews because Trevorrow is slated to direct Star Wars: Episode IX, but everyone needs to relax a little. This is an interesting movie that gets very wrong headed at times and ultimately just doesn't quite work. It's not a war crime. 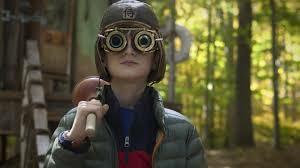 Doubterd need to watch Safety Not Guaranteed and just take deep breath, and focus on the fact that The Book of Henry shows that Trevorrow can handle suspense and emotion very well. He is still a great choice for Star Wars, and we can't wait to see what he does with it.